“Everybody’s talking about Luke Cage like he’s Jesus. You’ve got magazines calling him the bullet proof black man with Barack’s easy smile, Martin’s charm, and Malcolm’s forthright swagger… Harlem’s worship of Luke Cage has reached golden calf proportions. Luke Cage is soul brother number one. But I want you to ask yourself one thing. Luke Cage. Who is he really? Does he serve the Lord, or does he serve himself? … Luke Cage is nothing but a man, and there’s a reason we don’t worship men because we’re weak, subject to temptation, ego, vainglorious, spiteful, oh yes, Lord knows, we are spiteful. 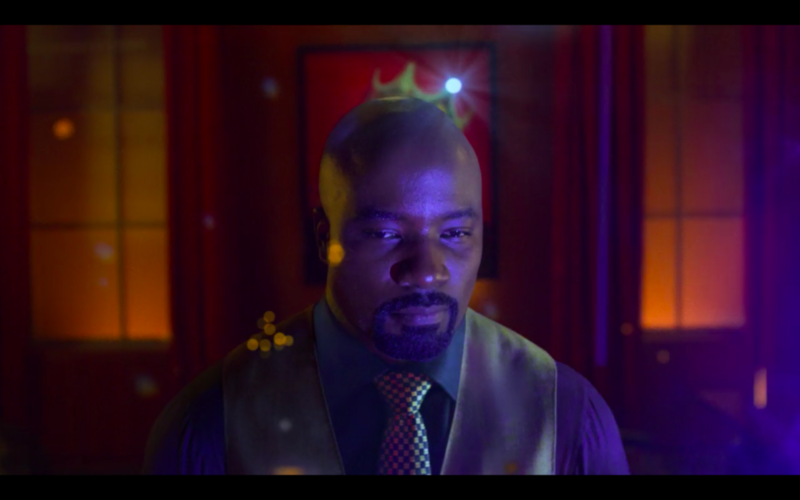 Bulletproof skin doesn’t change nature.” — Rev Lucas, Luke Cage, Season 2, Episode 1. Almost everybody in Luke Cage season 2 is angry. The whole season is an exploration of just how destructive the spiteful part of human nature is; and just how deeply rooted the cycle of anger and vengeance is in our psyche and how destructive it is when you can’t let go; when you can’t forgive. Anger doesn’t liberate; it captivates. There’s a sub-thread about just how hard it is to bring forgiveness and reconciliation into an angry environment too; but also just how redemptive breaking the cycle can be. Luke Cage is an interesting exploration of a superhero informed by a ‘liberation theology’ styled-Jesus. The comparisons to Jesus in Luke Cage aren’t subtle like in many other stories set in the backdrop of the western world, they’re overt. This was true in season one, it’s contained in the origin story of Carl Lucas’ choice of ‘Luke Cage’ as a name — it’s a reference to the Gospel of Luke and the promise that Jesus came to liberate captives (Luke 4); the opening words of season two show there’s no signs of the messianic comparisons abating. We might be keen to distance ourselves from belief in the supernatural these days, but there’s no escaping the way the story of the Bible, and its prescient diagnosis of the human heart, has shaped our narratives. 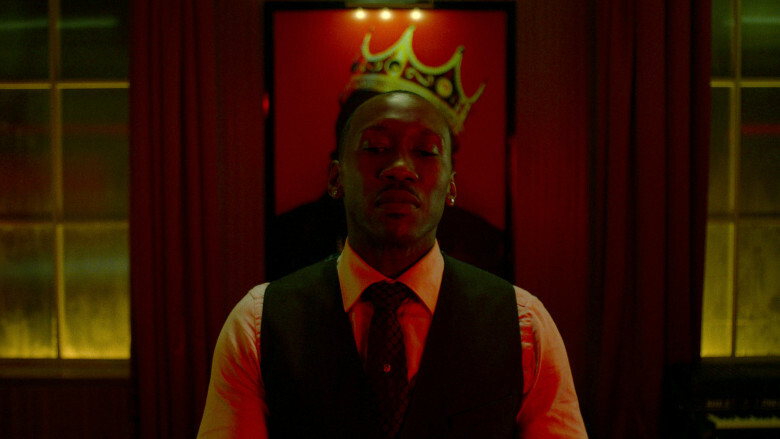 By the end of the season Luke Cage is Harlem’s Messiah — its ‘anointed king’ — the question is what sort of king he’ll be, and what part of its soul it’ll cost him. The season picks up somewhere after the events of The Defenders, Luke is back pounding the streets of Harlem. Jessica Jones is off enjoying her season 2 hijinks (enjoying is a strong word). Danny Rand is patrolling other boroughs of New York as the Immortal Iron Fist (though he makes a fun cameo). Matt Murdock… well… the cut scene at the end of The Defenders has him in a monastery somewhere. There’s a new battle for the streets of Harlem; a three-way fight (with a few extra parties like the police, and some rival gangsters thrown in the mix) all motivated by some form of anger, all allowing the shows writers to explore various forms of injustice — from Mariah Stokes who carries anger at past sexual abuse and a messed up family background which complicates her relationship with her daughter Tilda, to Bushmaster, who has returned from the Caribbean hell-bent on gaining revenge over the Stokes family because their wealth is built from the dispossession and murder of his ancestors, and Luke Cage who’s angry about his father, angry and angry about what Harlem’s criminal element costs his people. The music in this season is sensational — Luke typically fights with ear buds in place breaking bones to the beat of various hip-hop tracks, Bushmaster’s attempts to conquer turf are accompanied by reggae, while Mariah’s plotting plays out against a sonic landscape of her club Harlem’s Paradise — typically blues. These two songs from Christone ‘Kingfish’ Ingram were spectacular. But, music aside, the show is about anger and its power — anger as motivator — and how much it grips and distorts and destroys when our hearts, our nature, are impure… no matter how pure we think our hearts are, Rev. Cage is right, bulletproof skin doesn’t change a man’s nature. The problem for Luke is that he’s started to believe it’s his anger, not his strength and bulletproof skin, that is the source of his power. There’s a battle raging for his soul — and with it the soul of his kingdom, Harlem. And while Luke is grappling with this identity crisis, the season’s anti-hero, Bushmaster is a picture of the fully-fledged embrace of darkness as he goes toe to toe with Mariah for control of the family — darkness against darkness, forcing Mariah, the carry-over villain from season one to raise the bar as she targets Bushmaster’s family; a family who had been urging him to turn his back on the vicious cycle of strength pitted against strength; violence against violence; an ‘eye for an eye’… at one point an abducted family member of Bushmaster’s, Anansi, stares down Mariah and articulates not just the war for Bushmaster’s heart, but for Luke’s. “Anansi: I didn’t want him to destroy you the way the Stokes destroyed his family. But now I see you with my own two eyes, and I understand the temptation. You deserve all the brimstone he’s gonna bring upon you. Anansi: I don’t know. And I wouldn’t tell you even if I did. But I’ll tell you like I tell him. When one seek vengeance, he must dig two graves. Luke’s soul is up for grabs in this series, and by the end, we’re not sure whether or not the darkness has taken over… is he Mariah’s heir a new angry oppressor, or a liberator? Is he a hero or a gangster? 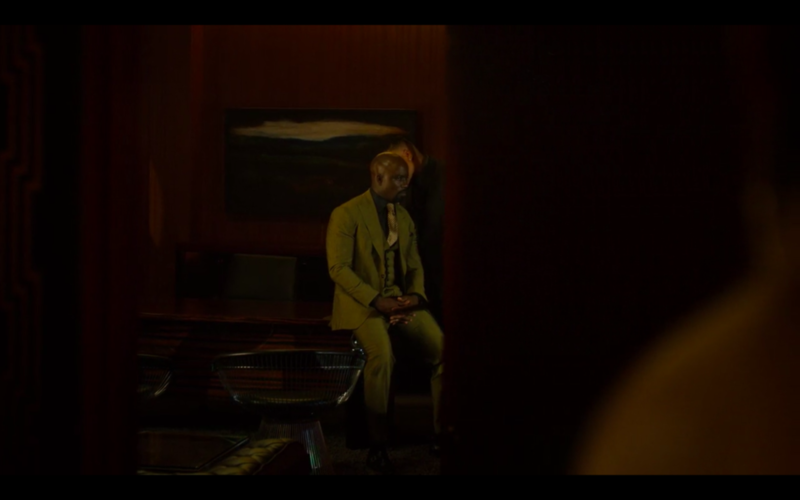 There’s a great visual homage here, continuing the Godfather reference, where the newly enthroned Luke Cage is greeted at his desk by his new crew and Detective Misty Knight, who has placed such hope in him watches through a closing door. Mariah (in a flashback, via her lawyer): You know the story of the Sirens? The beauty of their voices compelled men off course to crash against the rocks. This club will be his siren. He’ll be lulled by its song, lulled by so-called greatness. Luke: She really said that? Ben Donovan (the lawyer): “You can’t rule no kingdom from a barbershop,” is what she said to me. Mariah: The preacher’s son will think he can use the roost to change things, to control it. But in the end it will change him. The war for Luke’s soul, the war for the heart of the ‘saviour king’ of Harlem, is still on in earnest, and with it a war for Harlem’s future… all the visual clues suggest the battle is raging, and that Carl ‘Luke Cage’ Lucas might have lost himself. The closing words, a flashback to a conversation Luke had with his father as they were reconciled, offer, perhaps, a note of hope that his soul might not totally be lost; that Luke might yet face a pressure test and be prepared to walk away from seeing anger as his power. Your strength is from God, Carl. I have no doubt in my mind about that. But with that kind of power comes its share of pain. Science? Magic? God? That power flows from within. From inside. What comes out when that pressure is heaviest? That’s the real magic. That’s what defines being a man. Luke Cage’s preacher dad has the first and last words this season. In my review of season 1 of Luke Cage I suggested that Luke Cage’s approach to messianic heroism was shaped, perhaps, by the sort of Black Liberation Theology that uses Luke 4 the way he does; the sort founded by theologian James Cone. Here’s a quote from A Black Theology of Liberation. The challenge Luke Cage leaves us grappling with a bit when it comes to issues of race and liberation, alongside Cone’s theology, is what place anger and violence have in solving the problem. Can you embrace the tools of the enemy without becoming the enemy? Is any human heart — even a heart moving from oppression, on behalf of the oppressed, ever avoid becoming an oppressor when handed power? Cone recognised that anger alone would leave his movement ‘one armed’; that unfettered, it would lead to the sort of destruction Cage faces. Luke Cage as a text, and Cone and King as theologians have lots to teach us particularly on the issue of race. I think Cone is right about the problems with theology from institutional Christianity that upholds, or doesn’t challenge, status quos, and some of the critique of non-violence and the ‘violence’ of institutions built on the back of historic violence in his words at this link are worth sitting with, but I think King is closer to the solution when it comes to how those marginalised by our institutions should respond in ‘rebellion’… there’s obvious dangers with someone educated in such institutions, and employed by one — as I am — who is also white — as I am — prescribing solutions for those kept on the outer (not by ‘policy’ — our institutions don’t preclude indigenous participation — but by culture and so by practice — they do take shapes and involve requirements and even just behaviours and norms that we’ve ‘baptised’ that serve as barriers). “When the colonial police were hunting down the great Bunuba resistance fighter Jandamarra, they came to believe that he was, as the Bunuba said, a magic man. Many white settlers came to believe Jandamarra could fly and even police reports described bullets passing through his body. The Bunuba believed that a magic man could only be killed by another magic man, and so police brought one down from the territory and it was he who killed Jandamarra. To defeat the Bunuba the whites had to enter their Dreaming, and accept their beliefs as the truth of the Kimberley. And in this way the story of the frontier is a story of birth as well as of killing, of values and mentalities changing as much as it is also of segregation, oppression and violence. If we can as a nation learn and understand some of these things we can also appreciate the second story which is as transcendent as the first is tragic, and that is a different story of the past, a story of glory. This is a challenge outside the church, for our approach to our shared life to be shaped by listening to those voices typically excluded from the mix; but it’s also a challenge for the church. And there’s never been a better time for us, as an institution in our culture, to take up this challenge. We’re experiencing our own marginalisation in the culture — finally realising what it looks like not to have a seat at the table. We can approach this new reality in two ways — we could fight, we could get angry, we could look for our own bulletproof heroes (who’ll probably write columns in the Spectator), or we can do some self-assessment from this new perspective and consider what voices in our culture have been excluded from the table in part by us and start listening to them to hear how they’ve approached being marginalised while being followers of Jesus, to figure out how to chart an heroic way forward for the church, and perhaps for our country. We could start participating in public life as Christians not for our own interest, or to maintain or protect our place in society, but for the interest of these other groups. We don’t need to be bulletproof to be heroic; we just need to have our character revealed under pressure — and to reveal the character of Jesus, as described by Martin Luther King — as we’re marginalised would be a fine start. There’s no doubt a few people who, if they’ve bothered reading this far, will suggest this, what I’m suggesting, is a path to theological liberalism, to letting go of the Gospel — but that’s not it. It’s very easy to dismiss voices from the margins, from outside our ‘orthodox’ institutions as liberal as a way of not listening or reforming (just consider how the Catholic Church responded to the reformers). It’s very easy to assume that our own experience of the world is normal and that we are ‘colourblind’ and so able to see Jesus truly, detached from our own subjectivity. Acknowledging our possible bias and the problem with institutions that stagnate somewhere near the centre of the status quo isn’t a call to liberalism. It’s a challenge to let go of those places where we’ve brought the powers of this world into our approach to following King Jesus such that we can’t always tell the difference between Jesus and Caesar. It’s a challenge to have those voices and those experiences help us re-imagine the story of Jesus, without our particular cultural blinkers, and so re-image Jesus in how we live. This is why I continue to be blown away by my indigenous Christian friends who aren’t consumed by anger, but rather continue to offer hope and invitation centred on re-making and re-imagining an Australia that deals with this past, but also looks to a future, particularly a future shaped by the cross of Jesus. If we want to be part of that future, as a church, perhaps it’s time we start deliberately carving out space to hear these voices rather than allowing our educational and church practices to keep maintaining the status quo.